If you've been following our tweets from the 2014 Paris Motor Show, you'll know that team OVERDRIVE stumbled upon an astonishing bit of scoop on Volkswagen. The German carmaker is about to join the league of manufacturers operating in the compact sedan or sub-4m category. This is definitely not speculation because our sources confirm that VW has already finalised the design and the car is in the final stages of testing. VW will unveil this new sedan sometime early next year. The development of the new car, says Volkswagen, took just half the time usually spent on developing an all-new product. What's more, this sedan, for now, will be sold exclusively in India. 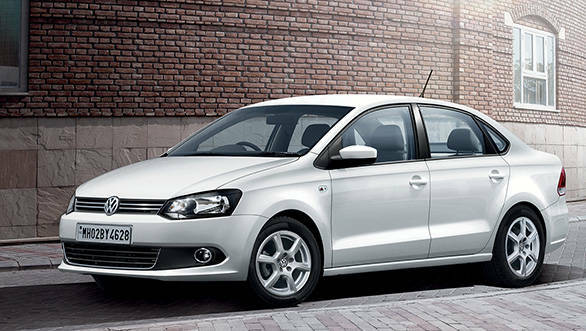 It will also use the newly developed 1.5l diesel motor featured in the new Polo and Vento. Expect a 90ps/230Nm engine configuration. It will most likely be mated to a five-speed manual transmission. Along with engines, it may also share the design language with that of the new Vento and Polo.